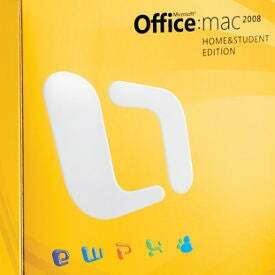 Office for Mac has long been the ugly stepsister that Redmond (and Mac users) pretended didn't exist. Is the latest Office the same deal? No, says Macworld. They say Office for Mac 2011 is actually good. It's good! It's faster! Word 2011 for Mac brings in a fresh, re-designed UI that works as well (and sometimes better) than its Windows counterpart. The Ribbon, an intelligent, customizable toolbar that adapts to your task, seems to be the highlight UI feature. The only problem with Word now is that it's probably a little much for non-business users, if you're just doing basic word processing, you'd want something lighter. Excel 2011 for Mac is the biggest leap forward. Ever. There's a brand new interface that's no longer floaty. Excel 2011 has a new featured called Sparklines, which are graphs of data that appear in a single cell. For power users, Macro support is back in this version. Downside? Scrolling is slow and window re-sizing is a little "jumpy". PowerPoint 2011 for Mac looks and works better as well. It's easier to re-arrange slides and there are enhanced media features. One thing its lacking when compared to Keynote, is that PowerPoint's transition effects are not as good. Even so, Macworld suggests that even those who love Keynote give PowerPoint 2011 a try.